Few individuals can claim to have conducted 20,000 interviews (yes, that is twenty thousand! 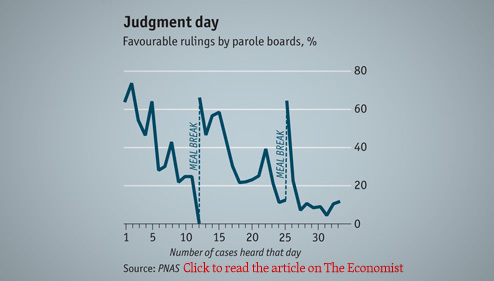 ), which to put into context is four per working day for the last twenty years. BusinessWeek calls Claudio Fernández-Aráoz ‘one of the most influential executive search consultants in the world.’ Add to that the list of internationally renowned names who have sought his consultancy, including Amazon’s Jeff Bezos, and you begin to get a picture of the level of expertise this man brings to the table. 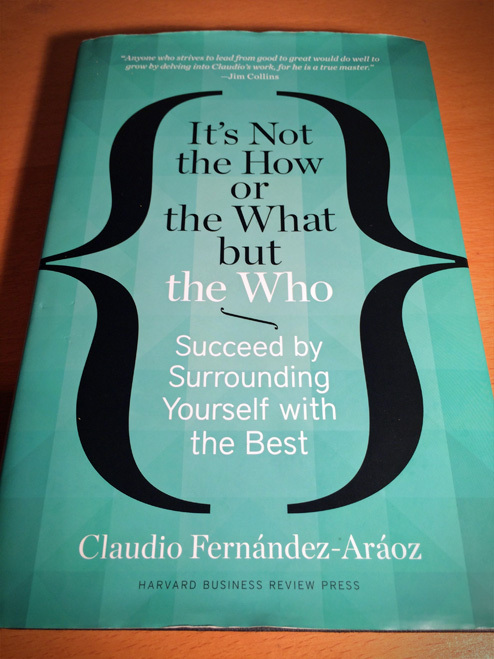 Whether you are hiring, or hoping to in the future, Claudio Fernández-Aráoz shares with Enviable Workplace readers his vast experience on how to go about finding the right person to take your business forward. In the early years, that is after only around a thousand or so interviews, Claudio began to get a sense of how to best judge candidates. ‘You get better once you know what to look for… once you have a valid and reliable inventory of competencies,’ he told me. But why are these decisions so hard to get right? Aside from starting out with the wrong brain and the wrong education another common mistake that people make is to make too many choices in one day, leading to what Claudio calls ego depletion or decision fatigue. This means is that either resisting temptation or making difficult decisions tires us enormously, and as a result of that we fall into one of two negative behaviours. One is being afraid of making a decision and not deciding, and the other one is just taking risks on those decisions. When it comes to assessing a candidate’s attributes, getting the interviewing process right is the first step. Claudio explained he defined the typical interview as a ‘conversation between two liars’. Liar Number two: I am desperate to get the job. I present my best angle. I give the impression that the day I sign it’s going to be God himself working in paradise. That’s a bad interview. Another way to mitigate potential errors in the interviewing process is to have the only the most appropriate people involved. Involve people who are good at assessing, who know what the job is about, and who have the right motivation. Where one person’s judgement is too limited, any more than three people involved in the process brings no further advantage. 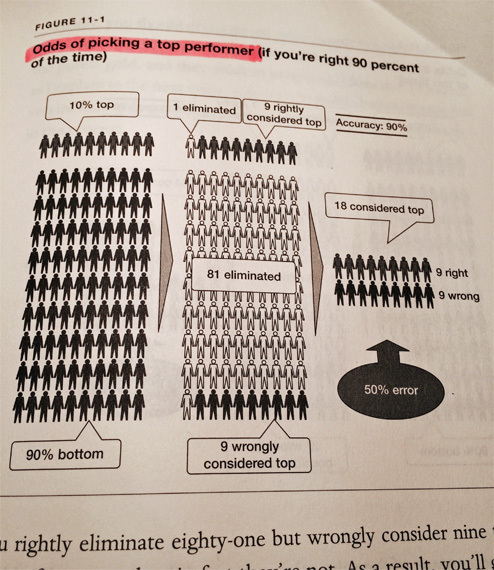 If you want to hire people who are top 10%, even if you are very accurate the problem is that most people are not top 10%. If you only put one interviewer, there is a significant chance that some who are not top 10%, because of the interviewing mistakes that we all make, gets hired. 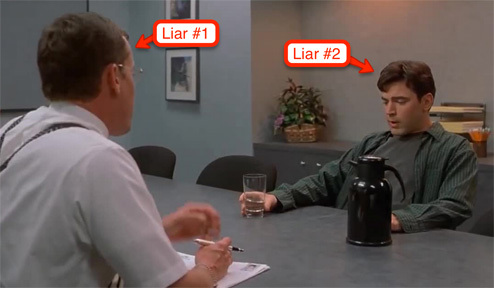 If, rather than having just one person assess the candidates, you have three filters, filter two only interviews those that have passed the assessment of filter one, and filter three only assesses those that have passed the assessment of the previous two filters, the probability of hiring a wrong person is very low. The more filters you add, the more you increase the chances of the second type of error which is killing the right candidate for the wrong reason. Typically the best trade off is to have three people involved in the process and no more than that. So which three people does Claudio recommend? It should be the boss of the position, the boss of the boss, and some really senior human resources professional who is a master at assessing people. Due to the imperfection of the interviewing process, Claudio explained the importance of complementing it with proper reference checking. Claudio recommends reading between the lines of a reference, is the person saying too much or too little? This could be a negative sign. As with the interview, Claudio maintains it is best to get right to the details and probe for concrete examples where the individual has displayed the necessary skills. It’s Not the How or the What but the Who – Succeed by Surrounding Yourself with the Best. Find it on Amazon. Nice. Seems like common sense, backed up by research. Although I wish the study used more than 156 people as that’s a tiny sample size. http://www.hrmagazine.co.uk/hro/features/1147164/importance-ei-varies-job-type < an important attribute indeed. Interpersonal skills – more specifically the ability to work well with other people. He also shows us how to measure each of these characteristics with just 2 questions. This was an enlightening read. I like the idea of a three filter process. It seems logical that it would weed out the bad and retain the good. Thanks for sharing the information.